Celtic staff (left-right) Jack Naylor, John Kennedy, Chris Davies, Brendan Rodgers and Glen Driscoll during a training session ahead of the UEFA Champions League group stage match at Lennoxtown, Glasgow. PRESS ASSOCIATION Photo. Picture date: Tuesday November 22, 2016. 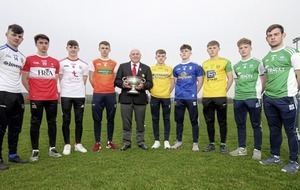 See PA story SOCCER Celtic. Photo credit should read: Andrew Milligan/PA Wire..
CELTIC coach John Kennedy believes Kieran Tierney has already established himself as one of Britain's top full-backs - and reckons he will only get better and better. The 20-year-old wrote his name into the Hoops' history books on Tuesday when he became the second youngest player to skipper the Parkhead side since the war. And he underlined his burgeoning potential with a 40-yard goal-of-the-season contender as Betfred Cup opponents Kilmarnock were beaten. That has only ratcheted up the superlatives being used to describe the Scotland international. 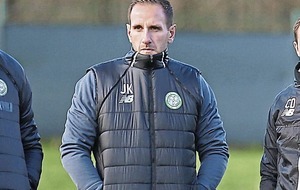 And Kennedy was happy to back Jim Duffy after the Morton boss suggested Tierney can rightfully claim a place alongside any of the multi-million-pound stars plying their trade in the Premier League. "Kieran still has improvement in him and he realises that himself," said the Hoops first-team coach. "He is playing to a very high level both domestically and at international level. "But there is still more growth in him. Physically he will fill out more, technically he will get better and as he plays more games, tactically he will become more aware. "However, he is certainly up there with the top left-backs in the country." Kennedy has seen Tierney's development from the beginning of his time at Celtic and knew then that the youngster would not stop until he made it to the top. He said: "I'm not surprised by the performances Kieran has put in. It was a great honour for him to get the captaincy the other night in the absence of Scott Brown. "I've known Kieran for a long time but I'm not surprised by the accolades he gets or the performances he puts in because I see what he does every day. "From the first minute I came across Kieran, the feeling I got coming from him was just pure desire. "He will never change. I imagine when he's 30 he will still be coming in after games looking to see what he could do better. "He wants to do well here because he's a Celtic boy. But how he conducts himself off the pitch, how he trains every day reflects on the pitch. "He's a great example for young players to look at." The good news for Brendan Rodgers is that there seems to be plenty of Tierney's former academy class-mates happy resist temptations and follow his lead. He threw five teenagers into his line-up for the last 16 showdown with Killie but there was little to suggest it was a gamble as Lee McCulloch's men were routed. 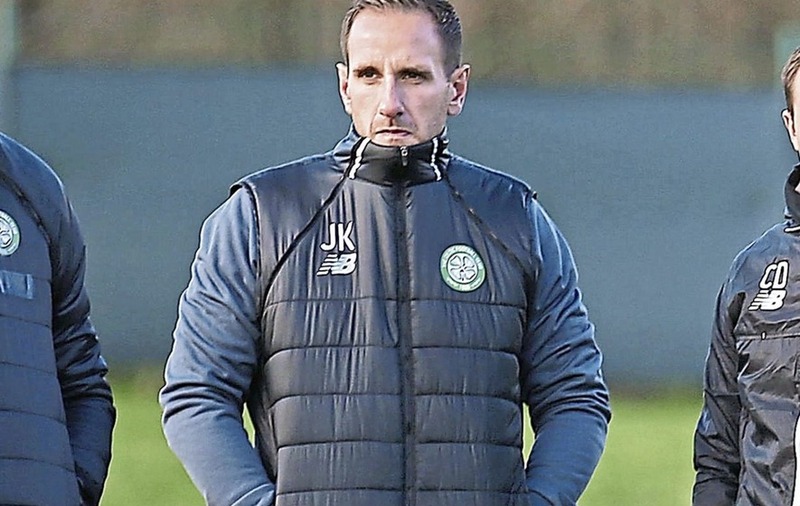 The Celtic boss is likely to restore the majority of his established first-team figures for Friday night's Ladbrokes Premiership trip to Partick Thistle but Kennedy will not be surprised to see the odd fresh-faced recruit keep his place. "It's good to see," said Kennedy. "The manager has always stated he wants to win games and trophies - but we also want to develop our own players too. "It was a perfect example the other evening there as we finished the game with five academy players plus Kristoffer Ajer and Kundai Benyu also involved from the start. "We had a very young team but the performance level was still high and that is the trust the manager now has in the squad." Kennedy says the guiding hand of Rodgers was key to that stunning first-team introduction. And with the former Liverpool boss's mentoring, he reckons Tierney will not be the last home-grown product for the Celtic faithful to get excited over. "This is the skill of the manager. He settles the players down and makes their role very clear. He also trusts them and puts belief into them," he said. "You saw that with young Anthony Ralston at full-back the other night. He played like a 25-year-old who has 300 games under his belt. "That comes from the manager and everyone else making it very clear what is expected of them."